At Facebook, Victoria works on launching next generation content and video experiences that influence how people interact with one another and shape how they see the world. Before that, she worked at Uber, Google, JWT, and WB after starting her career at Disney. She's fascinated by how media, technology, and product design can influence behavior, which she studied at UCLA and MIT Sloan for her MBA. Being a leader is really just about listening and identifying opportunities that can help take the business to the next level. 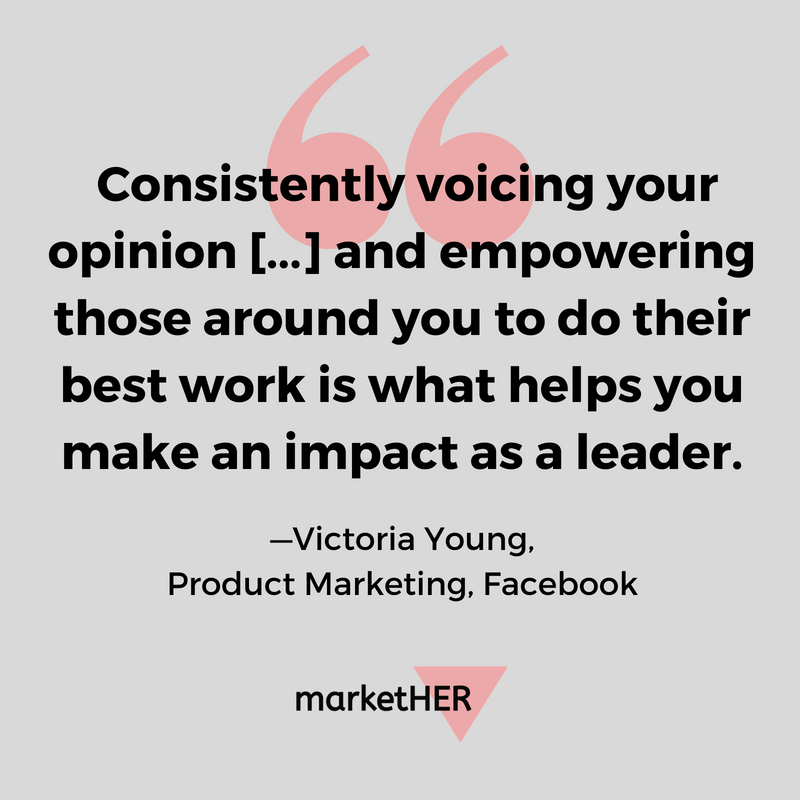 Consistently voicing your opinion based on your experience and what you've noticed and empowering those around you to do their best work is what helps you make an impact as a leader. With very few women of color in tech leadership, overcoming unconscious biases from the teams I've worked with has been important in establishing a strong reputation and gaining respect. While a white male may be able to walk into a room and immediately be considered a leader, as a woman of color consistently voicing my opinion and building one-on-one relationships with people has been critical in gaining respect. Wellness is something I really value, and communicating my boundaries to my team has helped me maintain my energy and focus at work. If you're not taking care of yourself, it's hard to do great work, so I keep this a priority. My team knows that, while I may be at an acupuncture appointment from 2-3 PM, I will never let something slip through the cracks, so I may be back answering emails at 8 PM. Being able to work when and where I work most effectively is a privilege I am very grateful to have in my company. 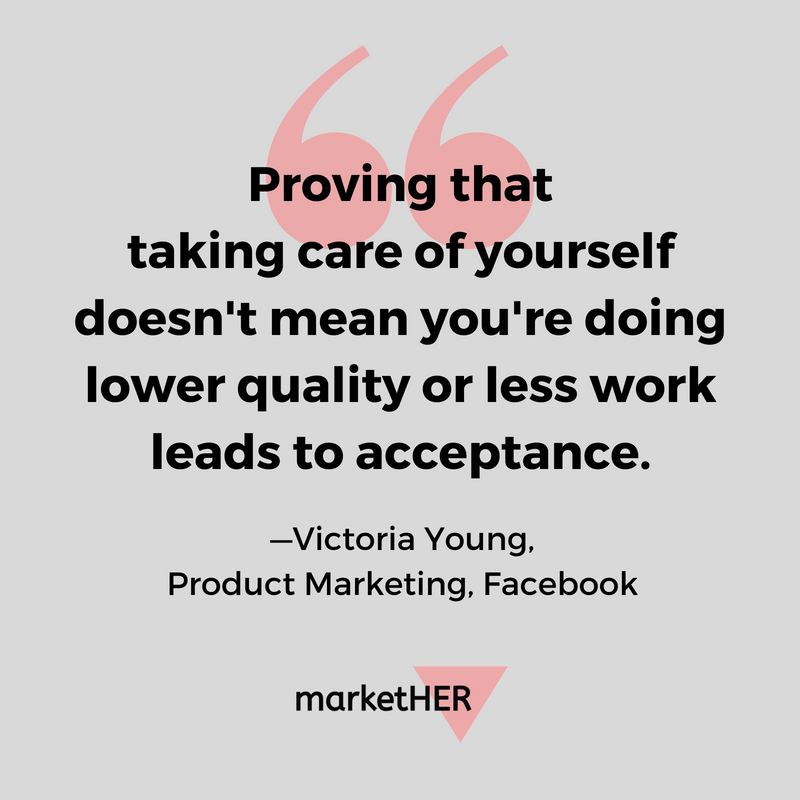 Communicating and proving that taking care of yourself doesn't mean you're doing lower quality or less work leads to acceptance and a positive ripple effect across the team. Leading by example gives everyone permission to take care of themselves while maintaining high-quality work. Saying no to experiences that don't energize or help me grow is something I wish I had done more quickly. This is directly rooted in believing in myself. If I listened to and followed my gut and intuition more, I think I would have found even more opportunities earlier on in my career. Working with some of the best people in the industry on products that reach billions of users at Facebook has been one of the most rewarding and exciting experiences of my career. Launching Facebook Live features in markets from Brazil to Japan has given me invaluable experience and a very global perspective on all my work. Identify wherever you feel small or whatever seems to take your energy away and try to eliminate those encounters or experiences from your own life. Saying "no" empowers you to focus on the people and experiences that will energize you and allow you to reach your fullest potential!